This is an update to our message about the iOS 11.2.5 connection issue with Roav VIVA. Please ignore this message if you are an Android user. We have previously informed you about this connection problem and suggested a method to use VIVA with your Apple device. 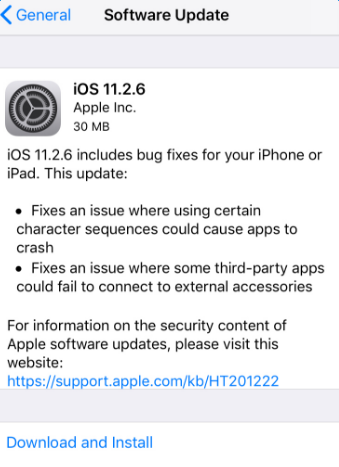 After communicating with Apple on multiple occasions, we want to inform you that Apple has fixed the bug by updating their software to iOS 11.2.6. Below is the software update information for your reference. Should you have any questions, please feel free to contact us directly via this email or via Live Chat in the Roav VIVA app or on the Roav website [Mon-Fri 9am-5pm (PT)]. Remember that your Roav VIVA comes with a 12-month warranty. nice, going to give it a shot today! Hey, same problem here. Newest ios and firmware. Device connects through iphone settings but not within the app. Reboot of the iphone helps but you have to setup the whole app and device each time. After Reboot you have to register again before being able to use the app and connect the device as completely new Bluetooth device. Not very useful doing this every morning. Any idea? @Thehack904 @Gunnar_Petersen We are so sorry to hear that you have some issues with your VIVA. Could you please delete and reinstall VIVA app to see if it helps? If possible, please try a different phone. If unfortunately the issue persists, please feel free to contact us via support@goroav.com. We are always here to help. Really? Your blasting this product because it doesn't work with the latest iOS update? Go blame Apple because with all their latest updates it has ruined or caused problems with a number of devices not just this product. Go blame Apple because with all their latest updates it has ruined or caused problems with a number of devices not just this product. I'm more likely to blame Apple just as well. Even though they never break anything in their iOS updates and will never admit to such, most times it's revealed that it was their fault. Case in point: I'm still happily on iOS 9.3.5 even though I can run their "latest and greatest"